Background stamps are tricky. Typically, they’re not large enough to cover the area you’d like to stamp. Acrylic stamps are great because you can see where you’re stamping … roughly. Years of art classes may have taught me how to “eyeball it” and have a steady hand, but these skills are far from reliable. Add embossing powder to the process, and you can have a mess on your hands (and table, and floor). 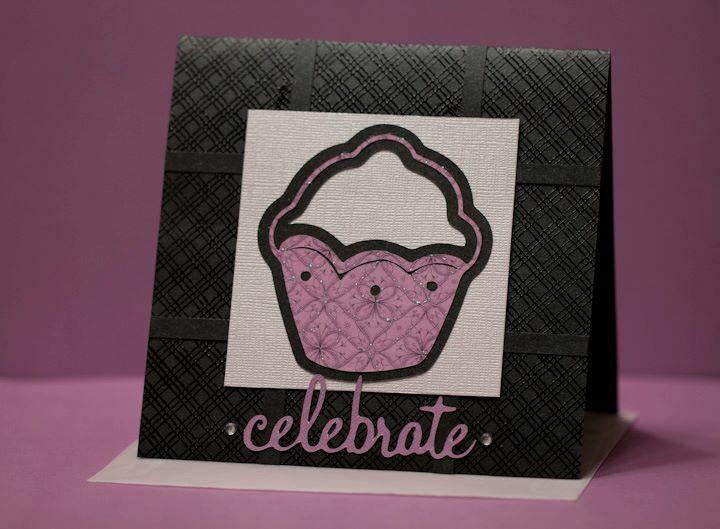 This card’s background was stamped in black ink using a small, square acrylic stamp, and then embossed in black. It also shows a handy trick: thin strips of cardstock that cover gaps in the pattern. I turned to my trusty Slice Elite to complete this sweet birthday card.